The Bushnell XRS II is a purpose-built riflescope designed for long-range precision rifle shooting. Over the course of the last five months, I found it to be an excellent tool for that job. 34MM main tube with plenty of elevation travel. Functional reticle that speaks the same language as the turrets. The XRS II is only available in a mils/mils configuration. Durable construction and ergonomic controls. Scopes can be tough to judge at the show, but the XRS II presented itself as a top shelf optic. It seemed like a good fit to my new competition rifle. The Vista Outdoor and Bushnell crews are great folks to deal with. They went over the scope with me at SHOT and arranged for a T&E sample to be sent right away. This review comes after near constant use of the XRS II over a span of five months. During that time, I fired more than 2000 rounds, and spotted for several hundred more while lined up behind it. My primary use of the scope was competing in precision rifle matches. 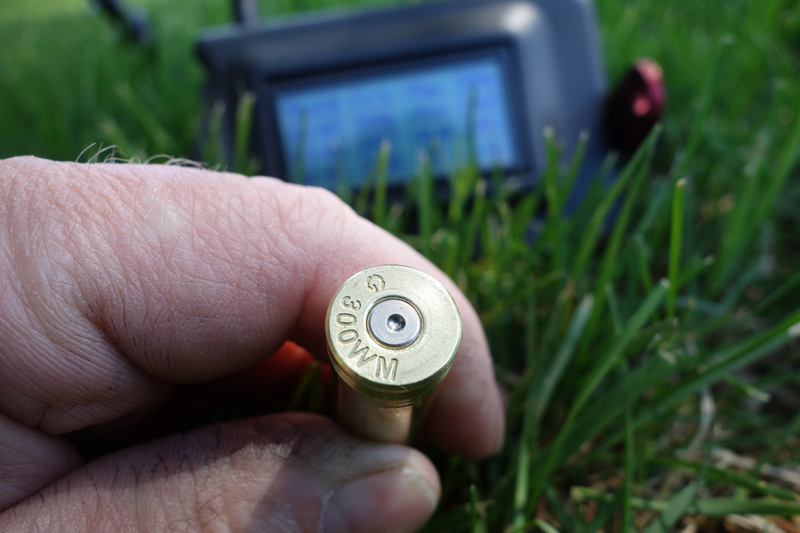 It was also put to the test during our annual long-range varmint safari and ELR shooting in general. The XRS II on my 260 Remington at the 2018 Karstetter Memorial Field Match. Within a few weeks of returning from Vegas, the XRS II was mounted on my rifle and ready to go. The rifle is a 260 Remington I put together for competing in precision rifle matches. It’s built on a Surgeon 591 receiver, with a Krieger #17 contour barrel finished at 26”. When you add the McMillan A-5 adjustable stock with bipod, it tips the scales at around 14 pounds without optics. The XRS II is 14.5” long, 2.37” across the outside of the objective bell, and weighs 38 ounces. 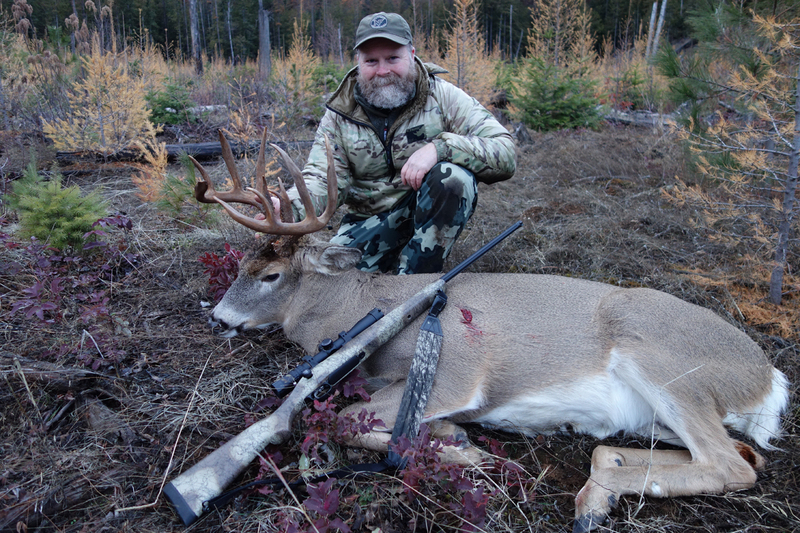 I used medium-height Nightforce Ultralight rings to mount the scope, which provide 1/8” clearance over the barrel. It has four inches of eye relief and a fast focus eyepiece for adjusting reticle focus. I had no problem getting a crisp reticle and full field of view at all magnifications. Jake scanning targets at the 2018 JC Steel NRL match. Bushnell ships the XRS II with a screw-on sunshade that adds two inches to its total length. They also include a full neoprene scope cover and a simple bungee-style lens cover. The glass is treated with Bushnell’s Exo Barrier, so the scope shouldn’t need much to protect it. Having said that, I prefer functional lens covers on my scopes, so I ordered a pair of Tenebraex caps. In case you’re interested, the part number for the ocular lens cover is UAC005-FCR. To cover the objective lens, you’ll need BT5056-FCR. Once I had the scope plumbed up and torqued down, I topped it all off with an Accuracy 1st scope level. The whole package looked right at home on my rifle. I fired in a quick rough zero, then went to work testing the turrets. The turrets and all controls on the XRS II are clearly marked. The XRS II is built on a 34MM main tube, with an advertised 33 mils of total available elevation travel. The windage turret provides 20 mils of total travel. Each revolution is worth 10 mils, with a standard 1/10th mil per click. My sample topped out at 32.8 mils of total elevation travel. With the integrated 20 MOA rail on my Surgeon 591, I’m able to dial up 20 mils from a 100-yard zero. To take advantage of the XRS II’s elevation potential, a true 40 MOA rail would probably be ideal. The aluminum turret knobs measure 1.63” in diameter, with vertical slots machined into them for a positive grip. They attach to the turrets with splines calibrated to a 1/10th-mil click value and are secured with a slotted-head screw. The elevation knob stands 1.16” above the turret housing when rotated to its full extension. The turret knobs and housing are clearly marked for direction and amount of travel. The elevation knob has an arrow on top that points forward when the turret is rotated to zero. This allows a quick visual reference when looking down at the scope. The elevation turret is a simple twist and go, with no locking mechanism. The windage turret uses a locking system that requires the shooter to pull the knob straight out before dialing. It can be locked anywhere in its rotation. There are also hash marks to indicate windage rotations. The lock feature, hash marks, and 10-mil rotations make it hard to get lost with the windage turret. I noticed a small amount of backlash in the elevation turret when rotated counterclockwise, but none in the opposite direction. It’s not quite enough to make the dial appear to be one click off, but it’s close. The windage turret is perfect. Bushnell’s RevLimiter zero stop. Simple and effective. The elevation and windage turrets on the XRS II performed flawlessly throughout this review. The elevation turret tracked accurately over hundreds of cycles and returned to a perfect zero every time. I tested the accuracy of the turrets using a 15-mil static tall target test, as well as a traditional live-fire version to 12.5 mils. On both occasions, the elevation and windage turrets moved the reticle the correct amount to within 1/4”. I also ran the XRS II through countless box tests during load development for my rifle. It never skipped a beat, and always returned to a perfect zero. Check out this VIDEO to see the tall target test, as well as my initial thoughts on the XRS II. The XRS II uses a mechanical zero stop called the RevLimiter. It limits the downward rotation of the elevation turret using a disc with three set screws. To set the stop, loosen the set screws, then rotate the disc clockwise until it contacts the pin built into the turret housing. Then hold the disc down against the housing and torque the three set screws with the provided 1.5MM hex key. Bushnell lists the proper torque at 2 inch-pounds. Holding the short leg of the hex key while torqueing them allows enough leverage to get the job done. In addition to normal use, I rotated the elevation turret up and back down against the stop hundreds of times. The RevLimiter held firmly throughout this review, even when I tried to make it fail. The G3 reticle at 30x magnification. Target is a 66% IPSC at 640 yards. There are four reticles listed for the XRS II: G3, G3i (illuminated), Horus H59, and Tremor 3. The scope used for this review was equipped with the G3 reticle. True to the XRS II’s design and intended use, the G3 reticle is placed in the first focal plane. By placing the reticle in front of the magnifying lenses, its stadia values remain constant relative to the target. The obvious benefit is the ability to use the reticle accurately at any magnification. The only drawback is losing the full use of the reticle at either end of the magnification range. Most of my shooting was done between 15x and 25x magnification. The G3 worked very well within that range. It’s a simple tree-style reticle, with a series of .5-mil hash marks extending along the horizontal and vertical planes. Starting at four mils below center and ending at 10 mils, the reticle adds windage stadia that extends horizontally. At 1.25 mils right and left of the crosshair, the reticle has short stubs for moving target holds. Those worked perfectly for my rifle during moving target stages. Except for a few multiple target stages, elevation corrections were dialed and windage held. One notable exception was an ELR shot pushing 2000 yards. I had to dial to the maximum travel of the elevation turret, plus hold six mils. I also dialed five mils of left wind, which had to be corrected with a quick additional two-mil hold. The G3 reticle is laser-etched and subtends .03 mils at the center of the crosshair. That works out to approximately .102” at 100 yards, which is plenty fine for precision work. Jake shooting long range varmints from a tripod. Bushnell touts the XRS II as being its flagship optic. The reason for that becomes obvious once you spend some time looking through it. Using ED (Extra-Low Dispersion) Prime glass, the XRS II has excellent edge-to-edge clarity across its entire 4.5-30x magnification range. That glass makes it possible to identify and engage long range targets in difficult conditions. For example, small steel plates colored “impact gray” hidden in the grass, or with no backdrop except an overcast sky. Maybe the head portion of a partially obscured 66% IPSC plate at 500 yards, while shooting at ground level through mid-day mirage. Or ground squirrels at 1000 yards, lying on top of their dirt mounds at first light. Low-contrast targets, heavy mirage, and poor lighting conditions are simply no problem for the XRS II. It also transmits colors accurately, which I prefer over any contrast-enhancing coatings. What you see is what you get, with a bunch of magnification if needed. A side-mounted parallax knob keeps everything in focus. The knob is marked with yardage indicators from 75 yards to infinity. Parallax was easy to remove for a repeatable 100-yard zero while maintaining focus on the target. I’ve heard some complaints about the 75-yard limitation of the XRS II, but it doesn’t bother me at all. The EXtreme Range Scope is engineered for long-range shooting, and this scope really shines when viewing targets at big distances. The XRS II has a 50MM objective lens. I don’t know how much, if any performance is lost when compared to a larger lens. I bet it would be hard to tell with glass like this. Low-light clarity was on par, if not better than any of the 56MM scopes I’ve used. The XRS II worked equally well for canyon shooting, range work, and precision rifle competition. It quickly became our favorite scope to use. The thing that kept standing out was the glass quality. The XRS II is simply the clearest and brightest scope we’ve used, in every condition we tested it in. I’ll be the first to admit that a riflescope doesn’t usually need that kind of clarity. After all, you’re using it to engage a target you’ve already identified. But it doesn’t hurt, and you quickly get used to it when you have it. I have a lot of experience lining up on long-range targets, regardless of the scope’s magnification. However, being able to quickly adjust it is a positive quality in a riflescope, especially in stressful situations. The XRS II comes with a power ring lever called the Throwhammer Throw Lever. The lever itself is removeable, but the boss it attaches to is integral to the power ring. The lever is comfortable and works well for quickly changing magnification. The Throwhammer Power Lever makes magnification changes fast and easy. I had to adjust from MOA-based scopes to mils with the XRS II. The G3 reticle helped smooth out the transition and added capabilities I didn’t have before. Despite my long experience with MOA, I’ve come to prefer mils for this kind of shooting. The elevation turret on a scope like this must be accurate and repeatable. Despite the backlash I found in the knob, when I dialed what my ballistic solver told me to, I knew that’s where the shot would land. The RevLimiter zero stop was solid throughout the review, and the zero never changed. The XRS II is well-suited for practical rifle competition, target shooting, and long-range hunting. I look forward to using this one for all three in the future. The Bushnell XRS II in this review (ET46305GZ) has a street price of $2249. It comes with a fully transferable “No Questions Asked Lifetime Warranty”. For more information, check out the updated Bushnell website. 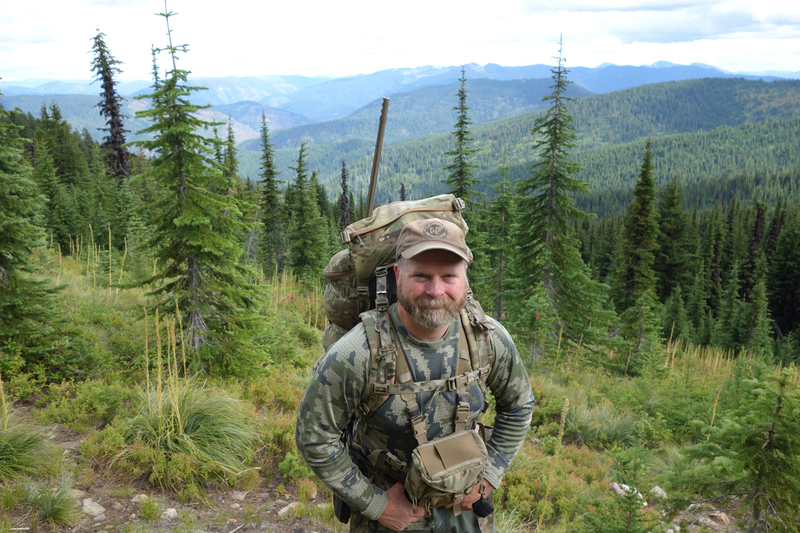 I would like to thank the team at Vista Outdoor and Bushnell for the review opportunity. You guys rock! Thanks for the excellent review Sam! The XRS II sounds like a nice scope. I’m still on the fence between MOA and MIL. I have a couple of each. Did you have much trouble getting use to the mil scale? Not at all. I can use either. 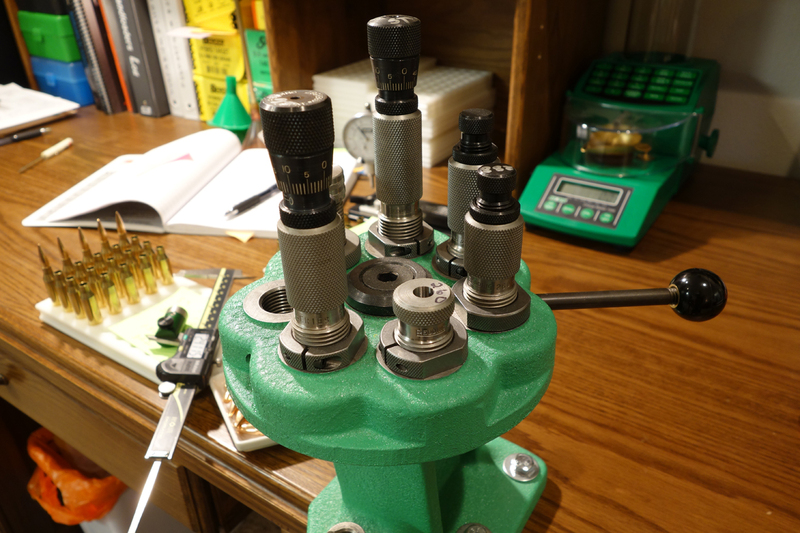 I have too many MOA scopes to convert everything to mils, but I think if I add any new scopes, they will be mils. Great review! I love my dmr2 but wish i waited for the new dmr with ed prime glass!! I am in the same boat about switching from moa to mils. Maybe you can do a write up sometime about your adjustment and how you apply mils to your shooting now. Good idea. I’ll see if I can explain it to Jake, first! Great field report, thanks! I agree Shawn, maybe an article on making the change from MOA to Mils? Sam- I enjoyed this review. Now that you have used both the XRS II and the ATAC-R, what are your thoughts on comparing them both optically and ergonomically? Sounds like they are both mechanically great. I think the XRS II has much better glass. The kids and I spent several hours comparing the F1 and Enhanced ATACR to the XRS II, and always found it to be clearer, especially at distance. As far as ergonomics, I think they’re both great. I do prefer the separate movement of the magnification ring on the XRS II over the integrated eyepiece/mag adjust of the Nightforce. The Throwhammer works better than the small quick adjust stud on the ATACR, too.